Home TKN News Careers Do you have what it takes to be a stand-up comedian? You’ve always been funny. You enjoy making people laugh, and you’d love to take humor to the next level in your life and make it a career. 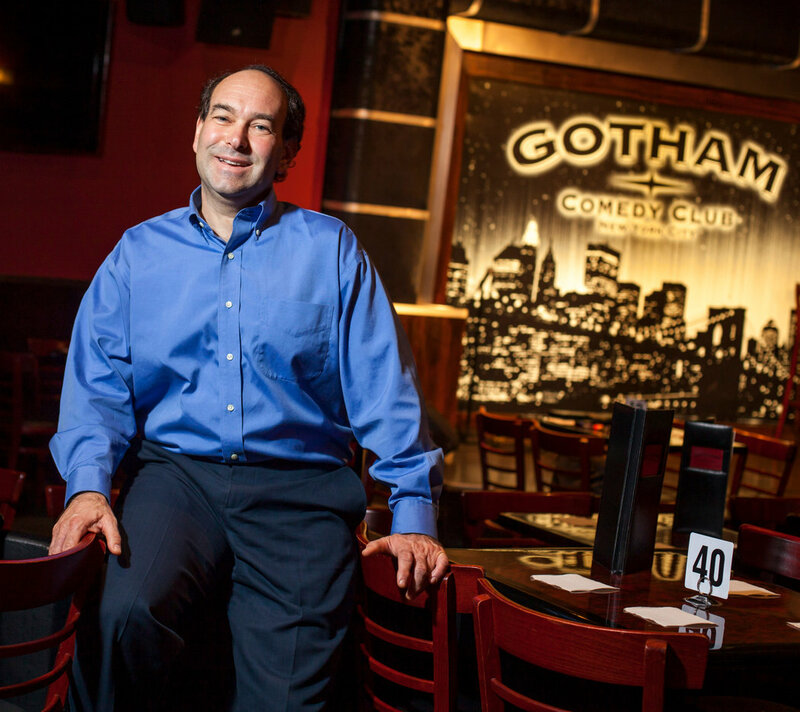 Well, becoming a stand-up comedian might just be the right path for you. It’s a creative choice, which requires you to be in the spotlight and always ready to crack great jokes. However, it’s not about just standing up and having the audience laugh. If you choose to be a comic, you’ll need to create your repertoire, learn how to have great stage presence, and be prepared for a tough road to the top, just like most artists. There is a variety of comedians out there, for example, comedy actors in both theatre and television, clowns, improv comedians, but for the purpose of this article, we’ll focus on stand-up comedians. So what do you need to become one? Well, first of all a sense of humor, but there is much more to it than just that. You’ll also need perseverance, talent, willingness to put in some long hours, good observation skills, and lots of curiosity for the world around you. Making jokes with friends might be easy, but writing them and performing in front of a crowd that you do not know might just need a little more work. Having said this, if you feel that you have the right skill-set and a natural talent for the job, it could be a great career path. Remember that the “stand-up comedian” part doesn’t have to be 100% of your career. And I don’t just mean that you should look for a fulfilling day job, though that’s of course a good idea. I mean that there are tons of other comedy-like gigs out there in addition to the traditional microphone-at-a-comedy-club thing. Here are some options: comedy writing, comedy teaching, storytelling, humorous public speaking, humor writing, humor blogging, character acting. There are comedy-like gigs that you’ll never even dream of. For example, a few times a year, I dress up as a fake Orthodox rabbi and make fun of people’s relatives at bar mitzvahs and weddings. Someone actually pays me to do this. So while you’re looking for comedy gigs, don’t dismiss similar things that you may end up enjoying just as well. Stand-up comedians have PhDs, and stand-up comedians have dropped out of high school. There’s a wide range. But as a stand-up teacher (I’ve taught an undergraduate stand-up comedy class at Johns Hopkins for ten years now. ), I highly advise taking a stand-up comedy class. Mine was strange in that it was actually offered for credit by a university, but many are offered by comedy clubs. Not only will you learn a lot and have great practice and feedback, but you’ll have a lot of fun, too. The best teacher of stand-up comedy is stage time. Perform in as many shows as you can, and when you’re not performing, watch the other open mic comedians perform. See what works and what doesn’t. The five minutes you’ll spend on stage that night will teach you so much more than the hours you spent honing your material alone in your room. Even better, open mic nights will allow you to meet other comedians, which is the first step toward finding out about other shows. You have to get better to realize how good you’re not. When you start out, you think you’re funny, but as you improve you realize you’re funnier than you were but not nearly as good as you thought you were. And to work on your weaknesses, not your strengths. If you’re a good writer work on stage performance. If you’re good at performing, work on writing. Comics will say “You can’t teach funny,” but what you can teach (or learn) are techniques for writing jokes, how to get better on stage, and a bunch of mistakes not to make. Always better to learn by hearing rather than making the mistake yourself. Especially if it’s how not to hit yourself in the face when you pull a stuck mic from the stand. Plus, in a class there are other students that can form a cohesive group to work together and support each other. What Kind of education do you need to become a stand up comedian? Once more we come across an art career that does not have a definitive education path. To become a stand-up comedian you really don’t need any particular type of education. You could even not go to college at all and become very successful in the career. You also have the option of studying whatever you want, be it business, sciences, history, or art. This has two benefits. First of all, breaking into the business of stand-up comedy doesn’t usually happen overnight, so you’ll be able to get a day job for the first few years and have a steady income. On the the other hand, learning something, anything, will give you a better insight into the world and you may get more material for your jokes. Finally, you can study acting. This is a great alternative, since it’ll give you the skills you’ll need on stage and in writing, introduce you to the arts world within your community, and help you build a network. Meanwhile, you’ll get the college experience, if that’s something that you’d like to do, and you’ll have a degree upon graduation, which can come in handy in case your career doesn’t take off as quickly as you’d like.